Section 16(b) and its Limitations Period: the Case for Equitable Tolling. Copyright 2011 Michael J. Kaufman. 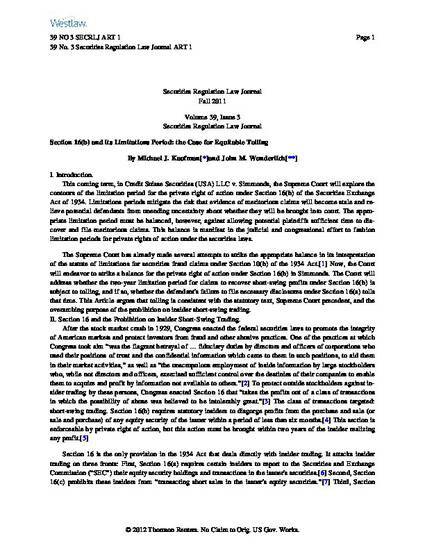 Kaufman, Michael & Wunderlich, John M., Section 16(b) and its Limitations Period: the Case for Equitable Tolling, 39 SEC. REG. L. J. l 169 (2011).